The TREBLAB XR500 Earbuds offer a rare combination of HD sound quality, noise cancellation, long battery life, sweat resistance, and a secure fit. They retail for nearly $180, but right now you can save 80% and pick up a pair for just $37. 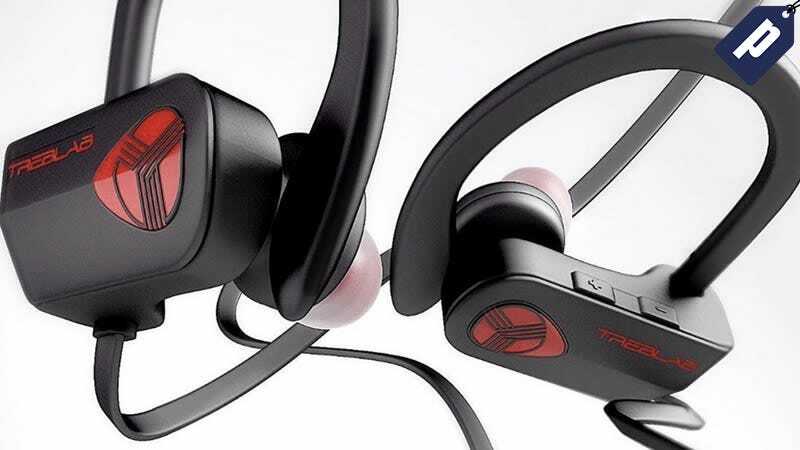 The XR500s make the perfect workout earbuds given their extra long battery life, sweat resistance, and secure fit, but they’ll do just fine as your standard day to day headphones too. If you’re looking for a solid pair of bluetooth earbuds that won’t break the bank, pick up the TREBLAB XR500s today for just $37.